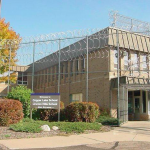 Every year, Nicole Janzen of Westside Academy II sets time aside for her three English classes to write poems and go on a peace walk. But when a recent graduate of the school was shot and killed, Janzen and other community members decided they needed to organize something bigger as a response. 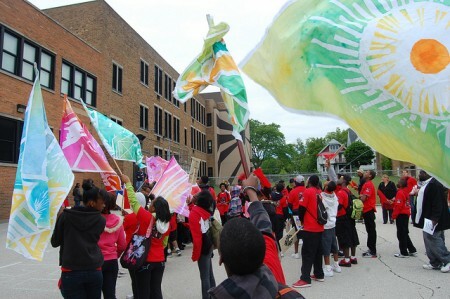 About 60 students from Janzen’s classes recently joined artists from Express Yourself Milwaukee and other community organizations for a peace rally and dedication of a remembrance garden at 33rd Street and Lisbon Avenue. Roderrick Capehart, 17, graduated from Westside Academy two years ago and was shot and killed in January. A bench was dedicated to him and another victim of gun violence, Devon Maurice Goldsmith, brother of a Westside student. 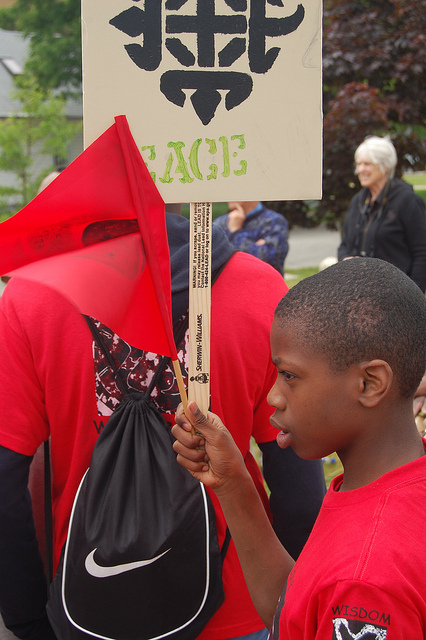 The group marched from the school to Peace Park on 31st Street and Lisbon Avenue, where there was a short ceremony. From there they went to Our Next Generation on 34th Street and Lisbon, where volunteers served the students lunch. Finally, they traveled to the site of the newly built remembrance garden for the dedication. During the ceremony, students, artists from Express Yourself and other community members tied ribbons to large metal-sculpted leaves in memory of people they had lost. Students Robert Bell and Xymerius Weazer read the list of fellow students, family and community members who died. Two other students, Christine McBee and Anjilique Bridges, read poems in memory of people they had lost. Donna Hietpas, program director at Benedict Center, an interfaith, nonprofit criminal justice agency, attended the rally. Volunteer RoSean Gray said that he thought the rally and dedication succeeded in raising awareness and helping students cope with violence they had experienced.